A robust grower, thanks to its pollen parent, Phal. Golden Spice, this clone, ‘Stripes’, is exceptional in readily producing 1-2 strong and showy branching spikes ! 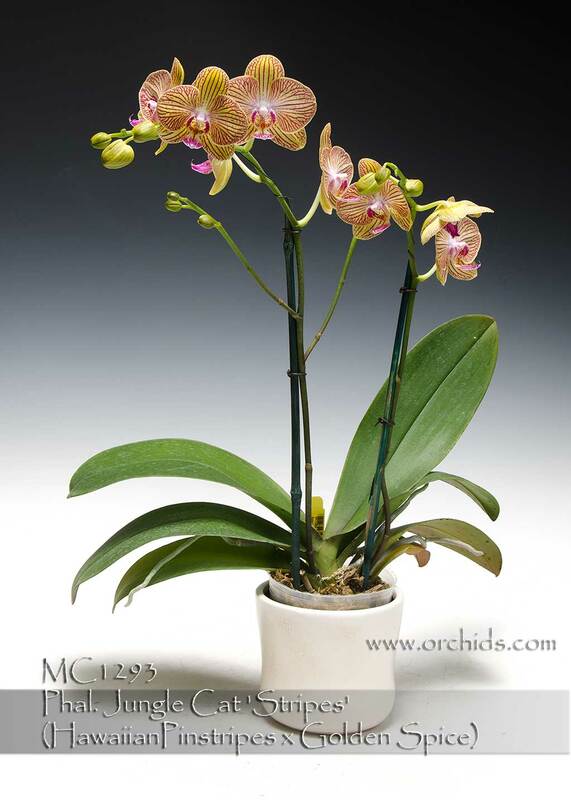 This is one of the most free-flowering clones of Phal. Jungle Cat with medium-size flowers reaching about 3.5” in size. 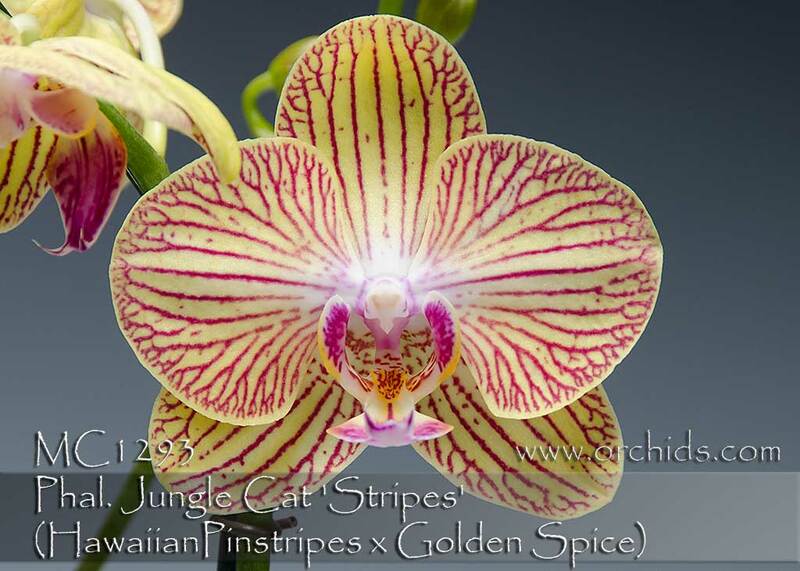 Soft yellow flowers with crisply defined burgundy candy-stripes, it has taken on the very best from both parents. Highly Recommended !